Boost your business with live AIS API or raw NMEA data feeds. Get access to constatntly-updating vessel position data, ship details, port calls and voyage information, arrival times and more. Processing thousands of AIS messages every second, all gathered by terrestrial AIS stations or satellites, we operate one of the biggest AIS networks in the world. Real-time AIS data is a valuable source of information for maritime awareness systems and analytics projects. Our AIS feeds will boost your apps or integrate directly into your software systems. The live AIS data is tailored to customer requirements and is provided in different formats via API (in XML or JSON format) or as a direct TCP/UDP stream ensuring a minimum latency. Processing millions of raw NMEA messages every day our system decodes the raw AIS data and delivers it in a well-known XML or JSON format via our API. The live AIS API offers a set of AIS data related services that can be used to programatically customize subsets of data for your visualizations. Returns the latest AIS position of any vessel along with its voyage information and particulars. Vessels API service provides the latest position data for any ship or a fleet of ships, specified by IMO or MMSI number. Each query to the API can be for a different ship(s) and there are no limits in the number of queried ships or the interval of queries. Each API response will return you the latest position data in XML or JSON format. The ship position data is gathered by Terrestrial AIS stations or Satellites, which ensure global coverage. There are many parameters that can help you to filter the returned data, respectively reduce the number of charged credits. Here is a sample use case: You request latest position data for 10 ships if their position was reported within the past hour. The API will charge you 16 credits in total. We will provide you detailed credits pricing on your request. For more detailed technical information and sample use cases, you can see the API documentation. Provides the latest AIS position for a predefined list of vessels including voyage information and particulars. VesselsList API service provides the latest position data for a predefined list of ships, specified by their IMO or MMSI number. The ship position data is gathered by Terrestrial AIS stations or Satellites, which ensure global coverage. The API response is in JSON or XML format. AIS position data for all vessels in a predefined geographical area as well as voyage information and particulars. LiveData API service provides real-time position data for all vessels in a specific area or port. The ship position data is gathered by Terrestrial AIS stations or Satellites, which ensure global coverage. The API response is in JSON or XML format. Indicates all ports visited by specific vessel/s or all vessels that have visited specific port/s including AIS position and voyage data. API service provides information about all vessels that visited specific port. Requested with a LOCODE, the API delivers data about all vessels that called any port along with information about their Actual Time of Arrival (ATA) and Actial Time of Departure (ATD). Each query to the API can be for a different port, specified by its LOCODE and there are no limits in the number of queried ports or the interval of queries. 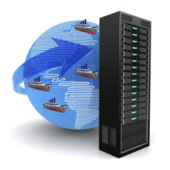 API service provides information about all visited ports for any ship or a fleet of ships. The API delivers information about all visited ports for any ship, with information about their Actual Time of Arrival (ATA), Actial Time of Departure (ATD), port name, lcoode and country. Each query to the API can be for a different ship or a fleet of ships, specified by its IMO or MMSI number and there are no limits in the number of queried ships or the interval of queries. Each API response returns the data in XML or JSON format. The API charges 2 credits per record for the PortCall dataset. Here are sample use cases. The API will charge you 60 credits in total (30 records x 2 credits each). Returns vessels expected to arrive at a specific port along with voyage information and vessel particulars. ExpectedArrivals API service provides information about all vessels currently sailing to a specific port. Detecting the AIS Destination of every vessel, the API provides information about all vessels bound to this port along with information about their Estimated Time of Arrival (ETA) as reported by the AIS. Each query to the API can be for a different port, specified by its LOCODE and there are no limits in the number of queried ports or the interval of queries. Each API response will return you the latest data in XML or JSON format. The API charges 5 credits per ship for the AIS dataset. The API will charge you 150 credits in total (30 ships x 5 credits each). Provides basic information, technical details and all particulars for a specific vessel or a fleet of vessels. MasterData API service provides detailed ship information, technical specifications, manager and owner contacts for any ship with an IMO number. Each query to the API can be for a different ship or a fleet of ships, specified by IMO number and there are no limits in the number of queried ships or the interval of queries. The API charges 3 credits per ship. The API will charge you 30 credits in total (10 ships x 3 credits each). Full technical details on the API use is on your disposal at the AIS API Documentation site. Raw AIS data streaming is the native way of distribution of real-time AIS data with a minimum latency. The data format conforms to AIS specification and data sentences may be processed by all software systems designed to operate directly with AIS hardware equipment (AIS receivers, transponders or base stations). The raw AIS data feed is provided via TCP/IP connection or UDP stream in compliance with client requirements. The feed may be filtered by area, AIS source or message type. 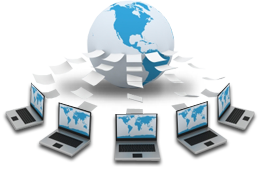 The position reports can be downsampled in order to reduce the required bandwidth between the client and our data center. Data access is provided on a subscription basis and the applicable fee thereof depends on the size of the area and the vessel traffic density. Send us more details about your needs and we will respond with relevant information.